These candles are perfect for a sensual night in. 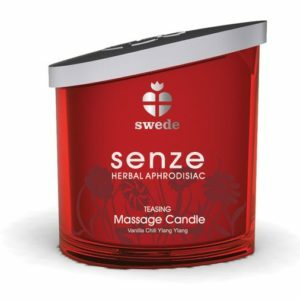 Offering a candle and a massage oil in one, they are definitely worth keeping on hand for an moment that may arise. Turn up the romance with the Lelo massage candle. Made from all-natural soy wax, shea butter and apricot kernel oil, the scented way melts into a exquisite pool of luxurious massage oil for an exotic massage.